Have you heard of LEGO SERIOUS PLAY and asked yourself what that is? MULTISENSING+ in collaboration with and hosted by the BUSINESS CLUB FRANKFURT TOASTMASTERS will be moderating a Lego Serious Play workshop on January 27th, 2018 in Frankfurt! 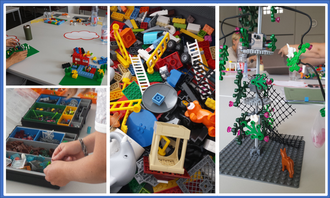 This workshop will give you the opportunity to discover the Lego® Serious Play® methodology and not just that! In the 4 hours we will spend together, you will take a deep dive into the world of Leadership 'today' and gain reflections about Leadership for 'tomorrow'. By building individual models and sharing stories, you will discover and be surprised by the richness of the output gained through this 'design thinking' methodology! and all that while having fun!